Daily oil production in China – the world’s second-largest crude consumer after the United States – fell to a seven-year low in October, according to data from the country’s statistics bureau. Chinese oil production is falling as the country’s national oil producers remain cautious about raising production in the face of oil price uncertainties. China’s oil output dropped 11.3 percent from the same time a year ago to 16.1 million tons, according to the National Bureau of Statistics. The figure is up from September when China produced 16.0 million tons, but the daily average was 3.8 MMBOPD, the lowest since May 2009, and down from 3.9 MMBOPD in September. “Producers have not ramped up output even as oil prices rebounded in October. Many of them see the uptick in prices as unsustainable,” a Beijing-based crude trader told Reuters. Chinese oil production has taken a hit both on and offshore, with major producer PetroChina (ticker: PTR) reporting that crude output for the first nine months of the year fell to 696.6 MMBO from 722.9 MMBO a year earlier, while China National Offshore Oil Corporation (CNOOC) recorded a 7.7 percent decline in oil and natural gas production in the third quarter. Domestic crude oil supply for the first ten months of the year fell 7 percent to 3.99 MMBOPD from 4.30 MMBOPD for the same period in 2015. Chinese producers looking abroad are uncertain about their future in the U.S. While PetroChina reported a 94 percent decline in net income for the first nine months of 2016, PTR and many of its fellow Chinese oil and gas companies are stockpiling cash to use outside of the country. PetroChina reported a 25 percent increase in cash on-hand in its Q3 report, and sources close to the company’s leadership said it is looking at deals from Africa to the Middle East and North America to boost overseas production rather than continue to pump capital into uneconomic fields at home. In 2015, Chinese investment firm Yantai Xinchao paid $1.3 billion to buy Permian Basin assets from Tall City Exploration and Plymouth Petroleum, and continues to look for more deals in the area. 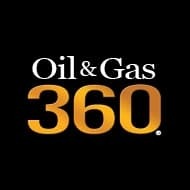 The rush of capital from both abroad and from U.S. oil and gas producers into the Permian is also creating opportunity in other plays like the Eagle Ford and the Bakken, according to ConocoPhillips’ EVP of Production, Drilling and Projects Al Hirshberg. It has been “a constant barrage of questions about what does this really mean,” said David Wochner, who leads the policy and regulatory practice at law firm K&L Gates. “As you start to think about Asian investment—Chinese or otherwise—into U.S. energy infrastructure, and taking a stronger role perhaps in the U.S. energy market, and then having the ability to export the commodity to their home country, I think it becomes a bit of a guessing game at this point,” he said. Wochner advises China’s energy companies to engage early with the new administration to form a better sense of how regulations may change. Trump Considers Oil Tycoon Harold Hamm for Energy Dept. As long as the Middle East is willing to give away their oil, China is content to leave their's in the ground. Why not?